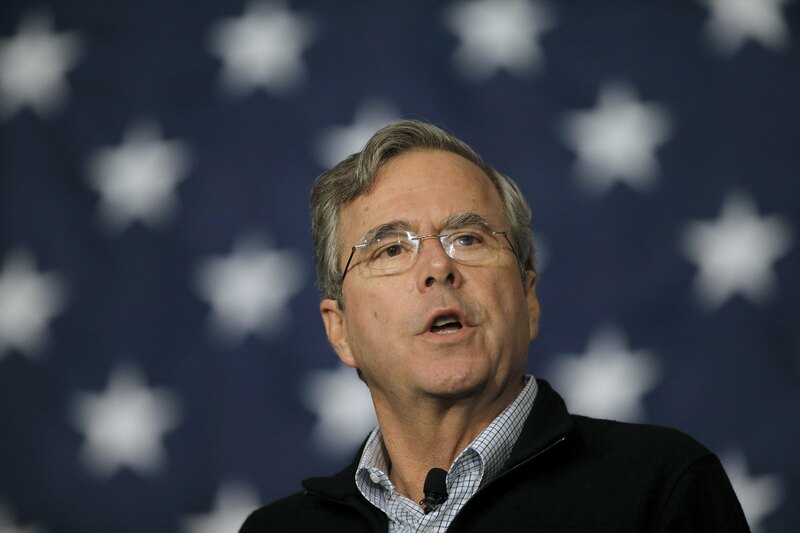 Jeb Bush still grudgingly admires Donald Trump's way with the media. "[K]udos for him for kind of creating the environment and then manipulating the environment to this effect," the former Florida governor told MSNBC's Nicolle Wallace in an interview that aired Monday night. Beyond that, he had a grim assessment of the presumptive Republican nominee, should he be elected. "The tragedy of this though is that there isn't going to be a wall built. And Mexico's not going to pay for it," he said. "And there's not going to be a ban on Muslims. None of that. This was all, like, a alternative universe that he created. The reality is -- that's not going to happen, and people are going to be deeply frustrated and the divides will grow in our country. "And this extraordinary country, still the greatest country on the face of the earth, will continue to stagger instead of soar," Bush continued. "And that's the heartbreaking part of this is, I think people are going to really feel betrayed." As Bush looked ahead to the general election, Trump's candidacy also means that "conservatism is temporarily dead." "I mean, if you look at it, we have two candidates," Bush said. "Donald Trump is barely a Republican. He's certainly not a conservative." Months after his own departure from the race, Bush remains disappointed he wasn't able to break through. "This would have been an extraordinary time to serve as president," he said. "The country is desperately looking for leadership and I think it requires someone who is not always trying to win but to solve problems...the way it turned out it didn't work out for me." That said, Bush takes comfort in his certainty that "I gave it my all, gave it my heart. I worked my tail off," he said. "And I'm not sure anything I could have done would have changed the outcome." The conservative record and solutions, "giving people a sense that I could've done the job wasn't enough, and it may not have ever been enough, given the circumstances."